Why Do I Need to Eat Gluten for Celiac Disease Testing? If you're being tested for celiac disease, you've probably seen warnings to keep eating a "normal," gluten-containing diet until all of your testing is complete. But why is this necessary? The reason is actually pretty simple: Celiac disease tests look for the damage caused to your body when you eat gluten-containing foods like wheat bread, pasta, and pizza. If you stop eating these foods, the damage can start to heal pretty quickly—and you may test negative even when you actually have the condition. To get a celiac disease diagnosis, your doctor usually first orders blood tests that look for antibodies that your body produces when you eat gluten. These antibodies reflect the damage done to your small intestine by your own immune system in response to gluten ingestion. If there's no gluten in your diet, your immune system won't produce these antibodies, so none will show up in your blood. If you test positive on these blood tests, the next step is an endoscopy. If you test negative but have overwhelming celiac disease symptoms or other reasons to think you have celiac disease, such as a family history of the condition, you might also proceed to the endoscopy despite those negative blood test results. An endoscopy is a procedure in which a gastroenterologist winds an instrument down your throat and actually collects tissue samples from your small intestine. Those samples are then examined for signs of villous atrophy, or intestinal damage caused by your immune system's response to gluten ingestion. 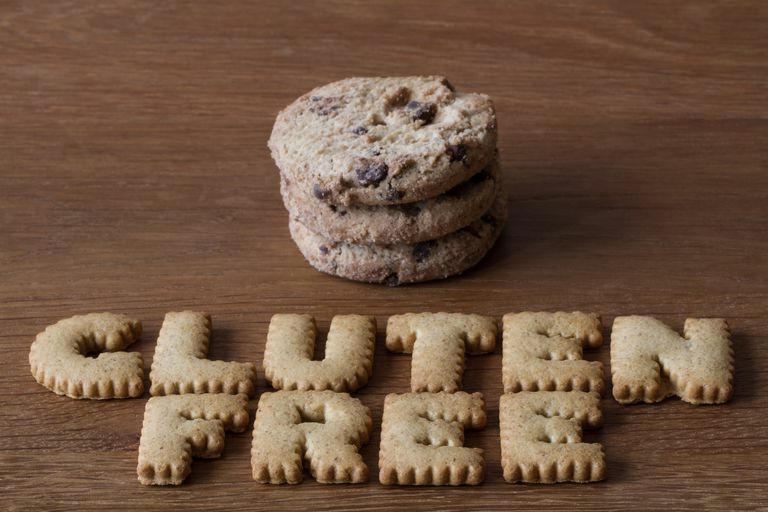 Again, if you're not ingesting gluten, there may not be as much damage to find, and samples might test negative for celiac disease, even though you actually have the condition. Once you go gluten-free, your body will stop reacting to gluten and your level of those anti-gluten antibodies will begin to decline. It's not clear, though, how long it will take for those antibodies to decline so far that testing won't pick them up. In fact, the testing isn't 100 percent accurate even in those who are eating gluten. About 10 percent to 15 percent of people have so-called "false-negative" blood test results (negative blood test results but a positive biopsy) even when they're eating a gluten-filled diet, according to Dr. Alessio Fasano, head of the Massachusetts General Hospital Center for Celiac Research. Since most physicians won't recommend an endoscopy if blood tests are negative, most people with negative blood test results won't get further testing for celiac disease, even though a few of them likely have the condition. So if you stop eating gluten before your blood tests and then test negative, you won't know if it's because you don't have celiac disease, or if it's because you stopped eating gluten prior to your testing. Negative Blood Tests, Positive Endoscopy? There certainly have been reports of people who had a positive blood test and endoscopy results (meaning they were officially diagnosed with celiac disease) even though they'd dropped gluten from their diets several weeks prior to testing. But we don't know how long those positive test results actually linger once you go gluten-free—those people may not reflect the norm. One study looked at the blood test EMA-IgA, considered the most specific to celiac disease, and found that 58 percent of diagnosed celiacs (people who already had confirmed celiac diagnoses) actually tested negative on the EMA-IgA after three months of eating gluten-free. Three-quarters were negative on the EMA-IgA blood test after six months and 87 percent were negative after 12 months. It's therefore clear that you're taking a chance on getting false-negative celiac disease test results if you're not eating gluten at the time of your testing. If you already ditched gluten a while ago, what choices do you have to be tested for celiac disease? Unfortunately, because you need to be eating gluten for accurate testing, your only shot at a correct diagnosis is a gluten challenge. Basically, you'll need to eat gluten again for a long-enough period of time for your body to produce antibodies to it. Should you do a gluten challenge in an attempt to get a proper celiac disease diagnosis? Only you can decide (in consultation with your doctor). But now you know why you shouldn't give up eating gluten before you've finished any testing for celiac disease because it can be just about impossible to get an accurate diagnosis when you're not eating gluten. W. Dickey et al. Disappearance of endomysial antibodies in treated celiac disease does not indicate histological recovery. American Journal of Gastroenterology. 2000 Mar;95(3):712-4. Frequently Asked Questions. Celiac Disease Center at Columbia University Medical Center. What Blood Tests Do You Need To Diagnose Celiac Disease? What Kind of Doctor Treats Celiac Disease or Gluten Sensitivity? My Close Relative Has Celiac Disease. Should I Be Tested Too? Do You Have Celiac Disease Forever? Do You Have IBS, Celiac Disease, or Gluten Sensitivity? Can Going Gluten-Free Help Your Itchy, Painful Psoriasis?